No wind in Cape Town? No problem for us. But first things first: for the unlikely case of no wind in Cape Town, we gather up after breakfast to see what people are up to. 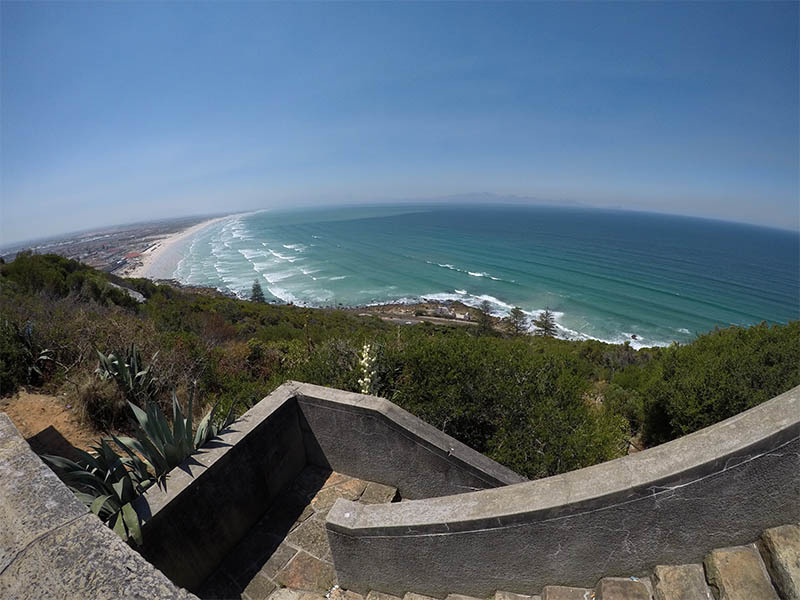 Most of the times, this ends with us packing lunch for everybody and heading to Muizenberg. 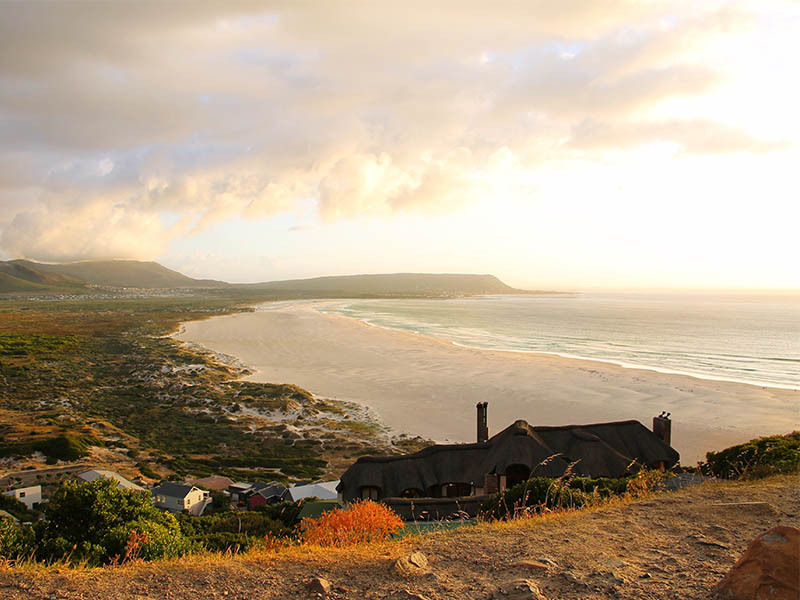 Muizenberg is our first stop of the beautiful Cape Tour towards the Cape of Good Hope. 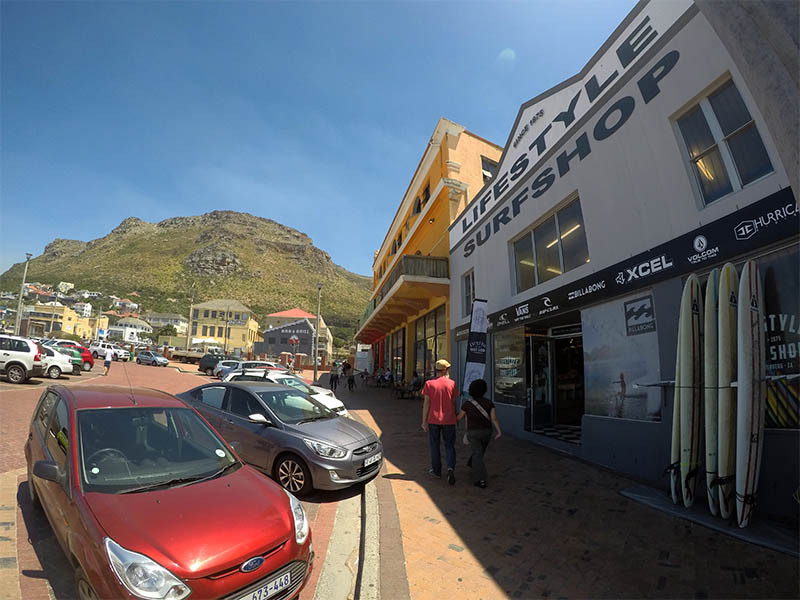 Cruisin’ along the bottom of Table Mountain through neat green suburbs, we arrive at the not so sleepy surfer’s village Muizenberg. 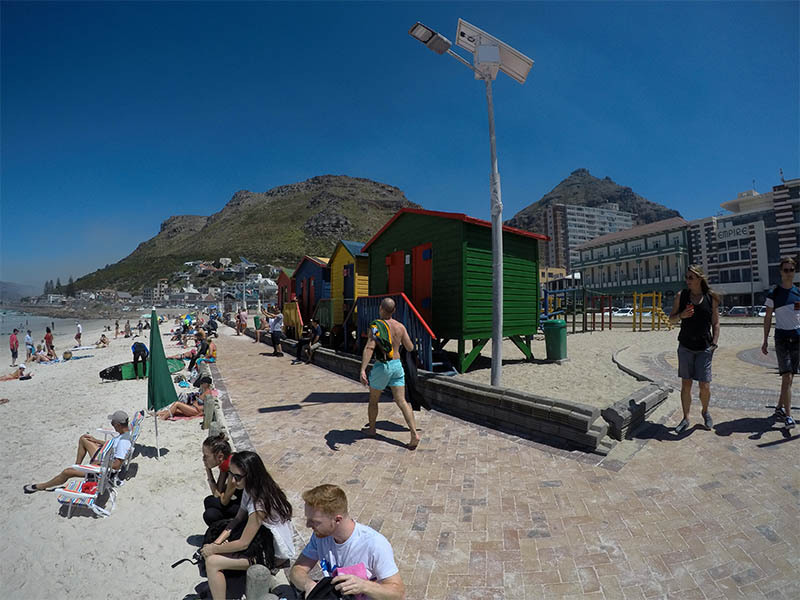 It is quite famous for its colorful beach huts and the shark spotters on top of the mountains surrounding Muizenberg. We will get to the job of shark spotters in a minute. 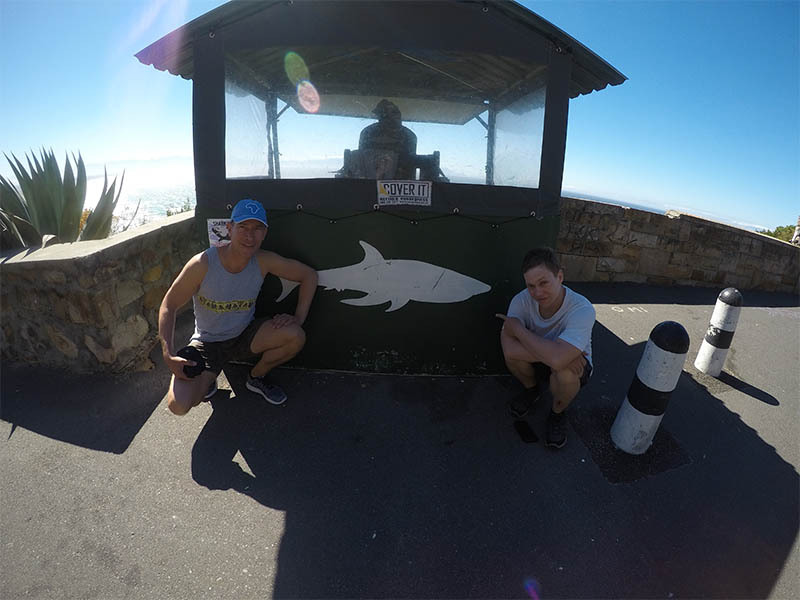 After having an espresso or a short shopping tour through the many surf shops, it is time to head up the Boyes Drive and stop at the viewpoint of one of the shark spotters. 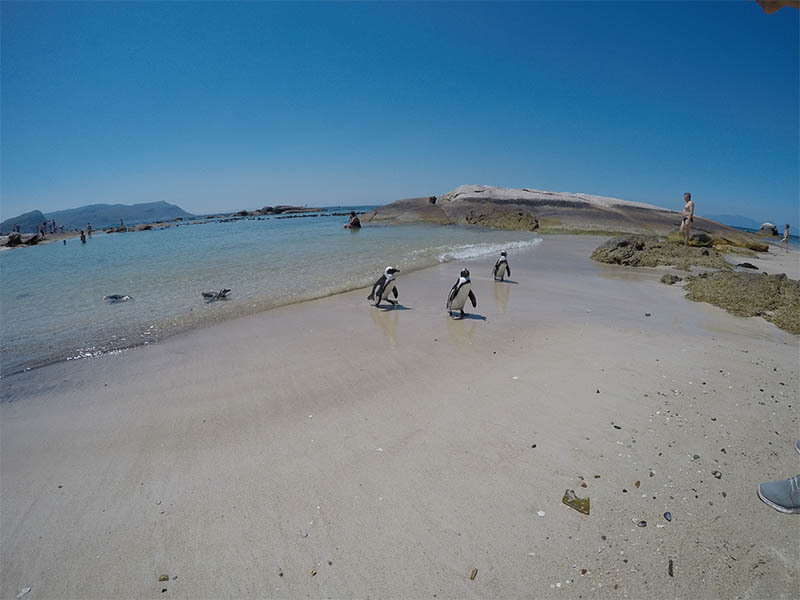 From here, these guys have an eye on false Bay to alert everybody in the water in case there is a shark around. Luckily, most of the times they don’t see any, although we have to admit that standing on safe ground, the thrill of seeing a shark outweighs the fear for a moment. 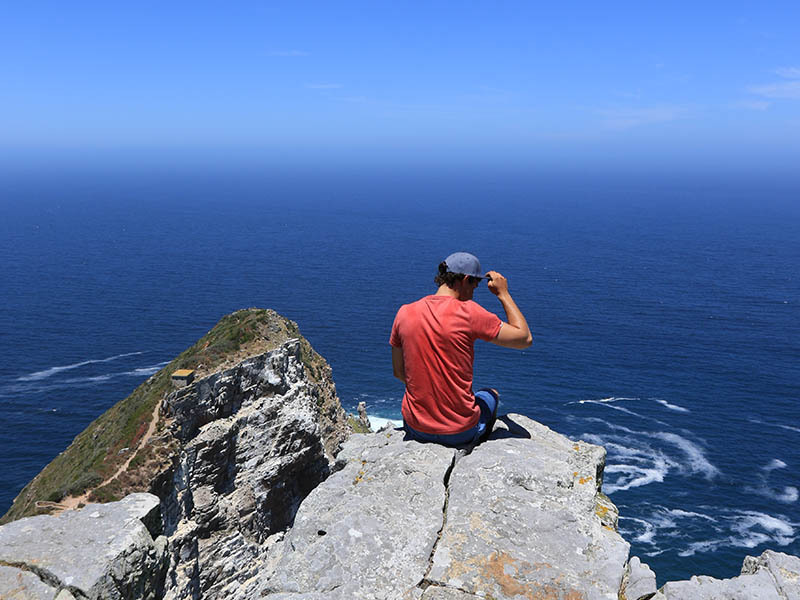 Since we don’t want to disturb this important job for too long we decide to continue our Cape Tour and head to Simon’s town not without getting one last glimpse over False Bay as it goes up the mountain again. 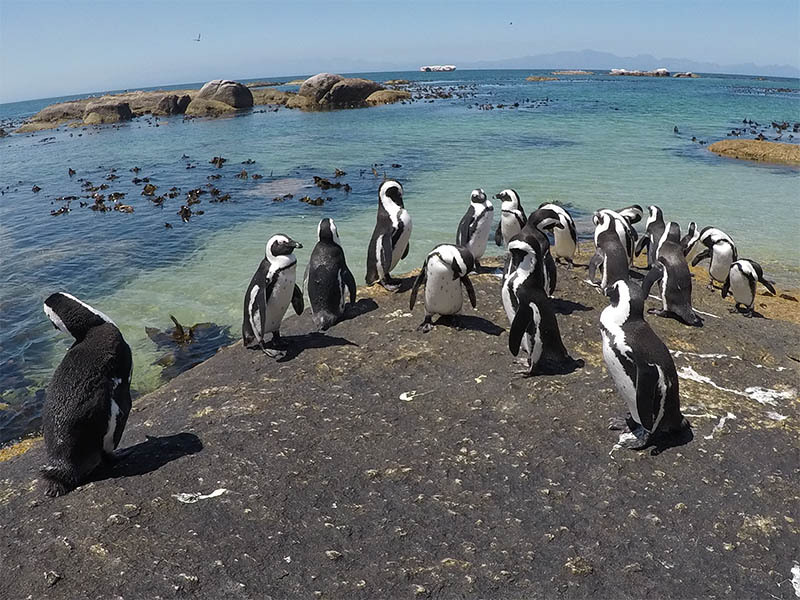 In Simon’s Town we find the tuxedo crew. 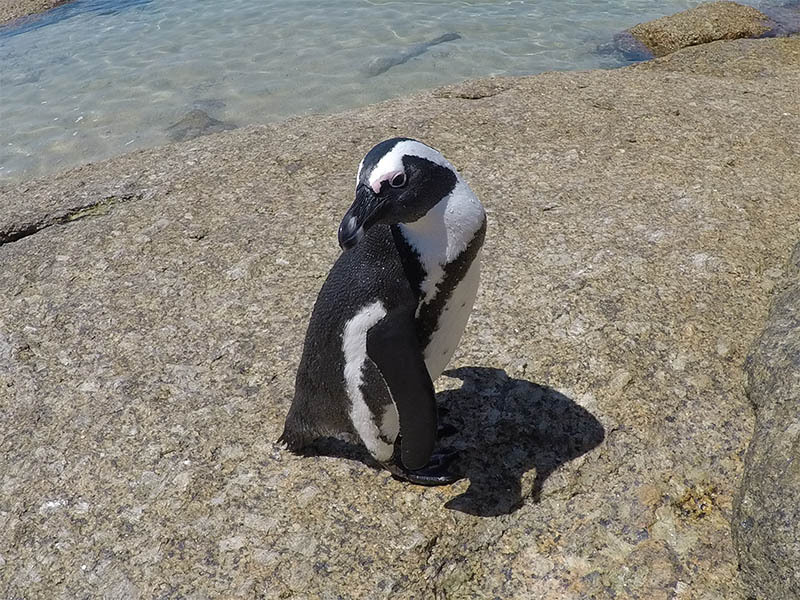 No joke, at Boulders Beach you can find African Penguins and they are not very shy. We could watch these cute little fellas for ages but they have a certain smell to them and we decide to keep going. Our stomachs are starting to growl anyways. Sometimes the goal of a journey is the journey itself. This thought strikes our mind more than once as we continue the Cape Tour along the coastline. Mountains to the right, the ocean to the left. After one last pitch we reach the gate of Cape Point National Park. From here on it’s all about keeping your eyes open. Apart from all the different plants you can spot a lot of animals, too. 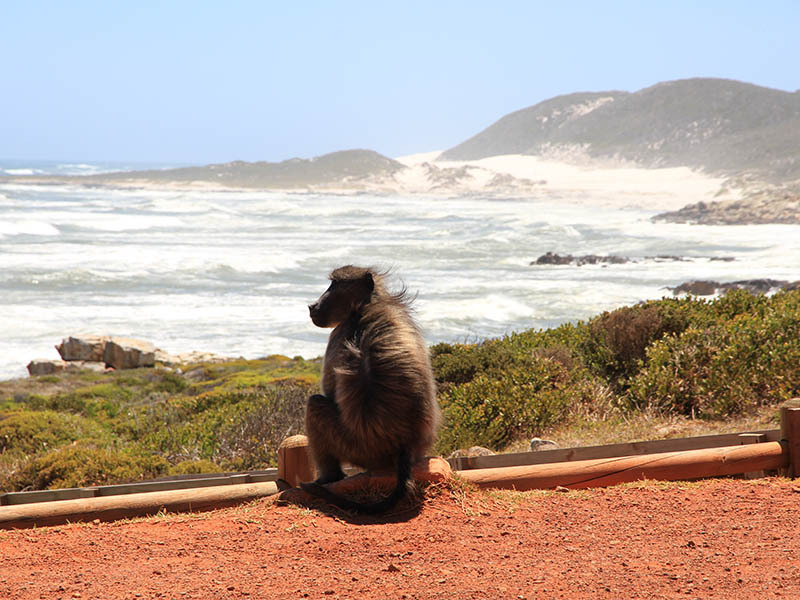 First and foremost the many baboons with their huge red backside, which is essential for them to identify each other. Apart from majestic ostriches you will also find the nearest relative of the elephant – a tiny marmot like animal, the Cape hyrax. If you are really lucky, you might also see some Zebras or Greater Kudus. Right in this already fantastic place you find the next sight. 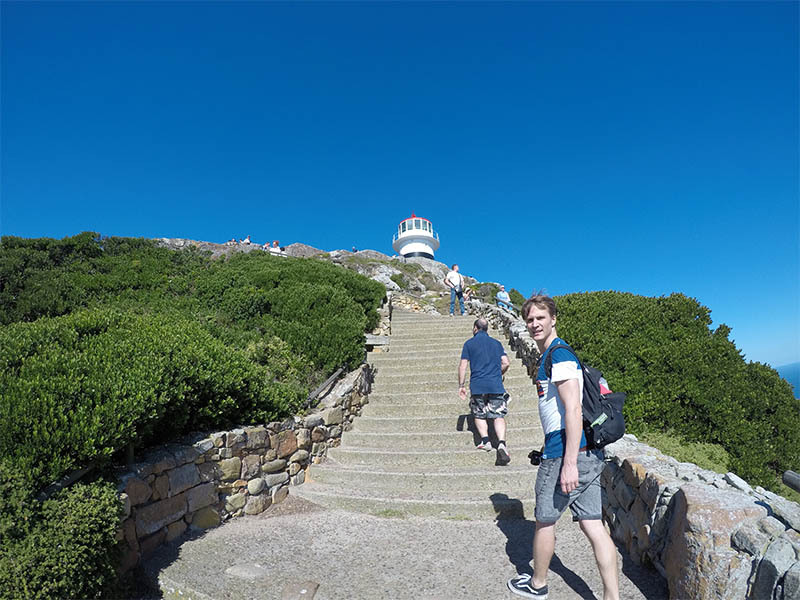 The lighthouse that marks Cape Point. The famous headland that caused many ships to sink on their attempt to round the cape. It feels as if the steep pathway leads straight to the end of world. 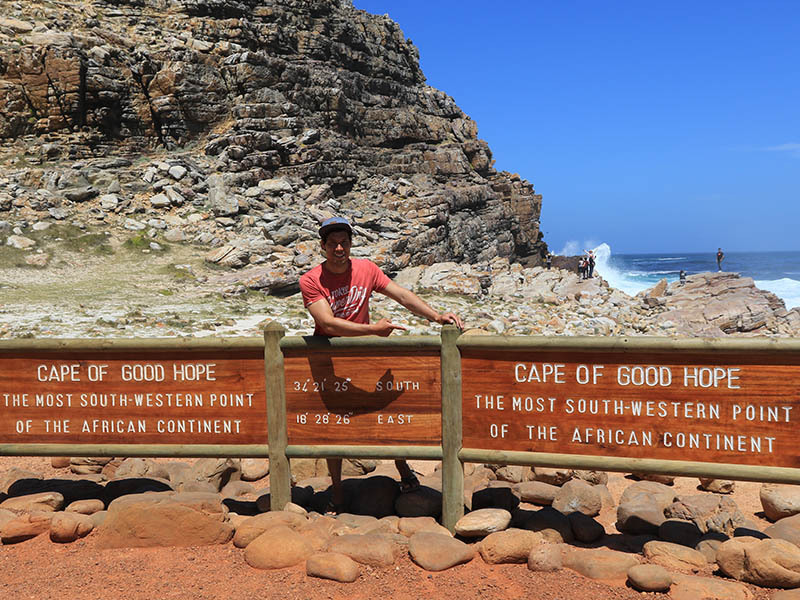 The geographical highlight of our Cape Tour is definitely the Cape Of Good Hope. 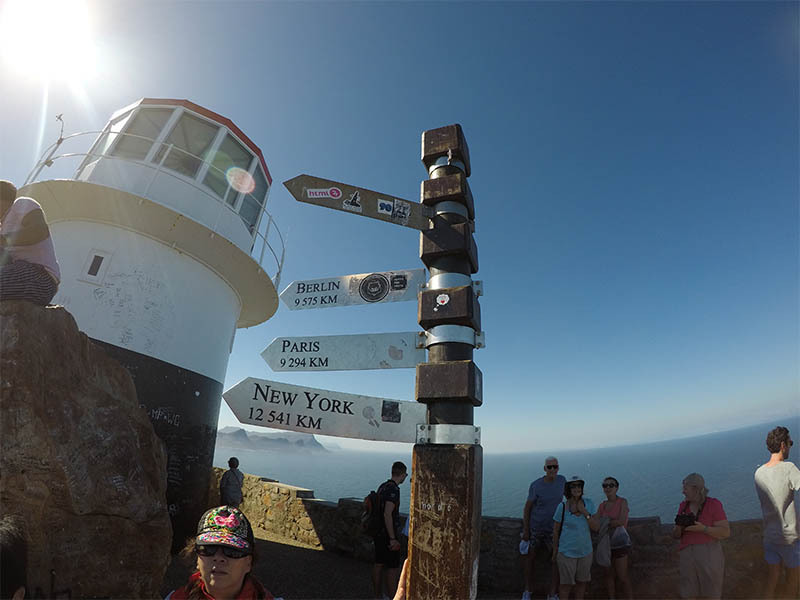 It is the most south-westerly point of Africa. And even today a sign of hope for sailors that the southern peak of Africa is near. It feels like we could spend days in this National Park without having seen everything. But after a few hours our attention drops and the stomachs growl even louder. 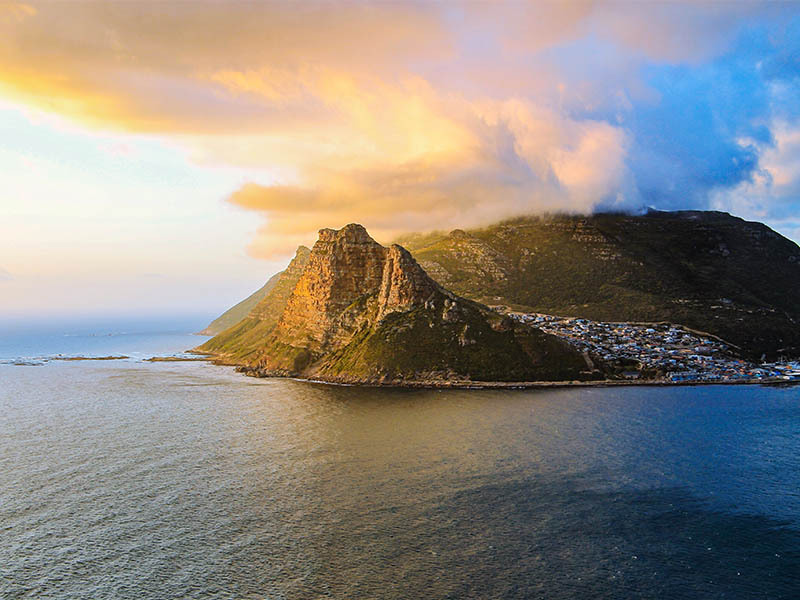 Thus, we are finishing the Cape Tour off with driving along one of the most filmed routes in Cape Town – the Chapman’s peak. 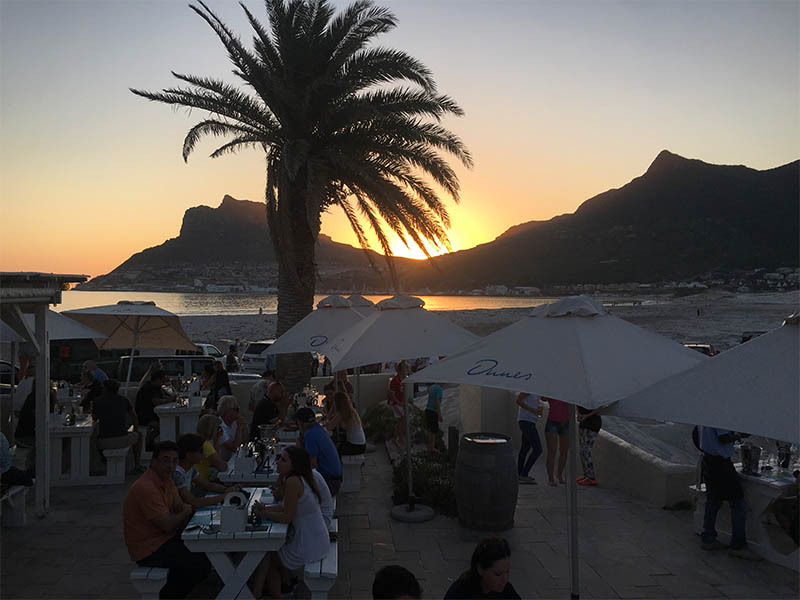 With an impressive red and golden sun set in front of us we watch the waves break at the cliffs beneath and the scenery feels more like the end to an epic adventure than the end of a regular day in Cape Town. 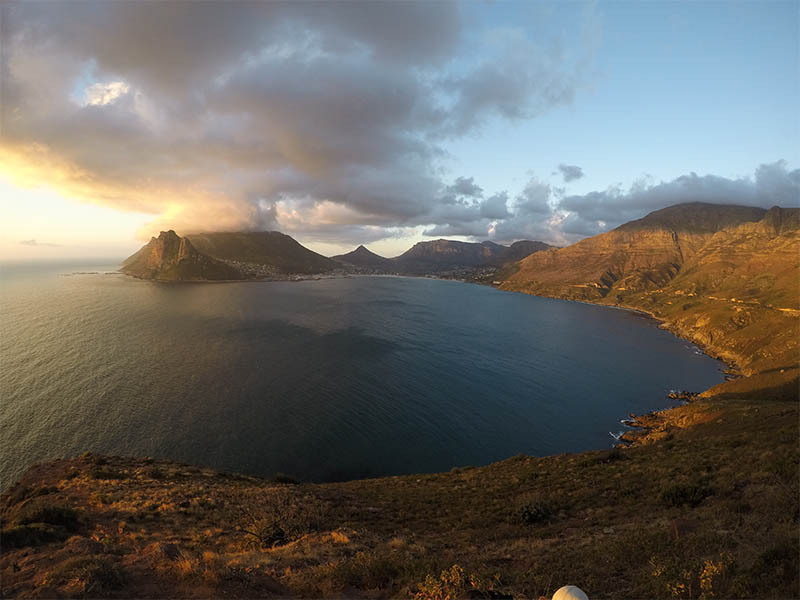 Our final stop for today is Hout Bay, a former fisher’s village. From here we enjoy the view with an ice cold Savannah Cider and (finally!) some great food!